 Visualize and understand every tiny detail across your entire cloud infrastructure from our all-in-one cloud management platform. 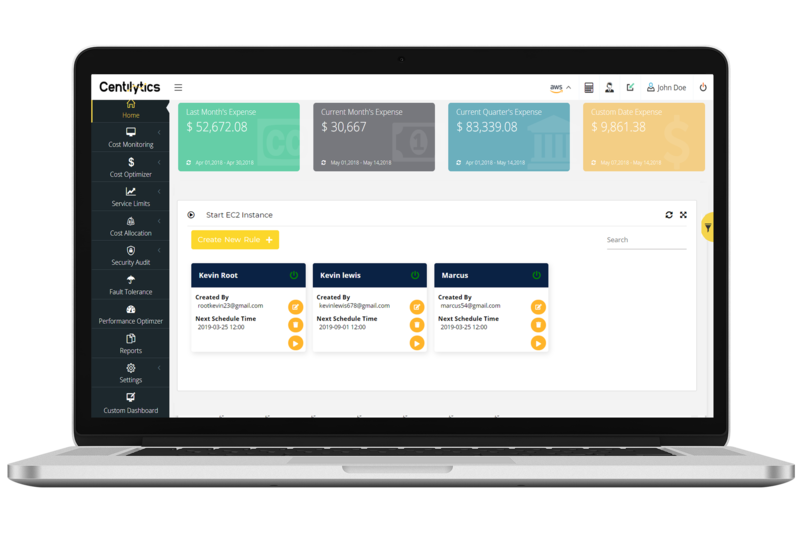 Centilytics gives you 360-degree visibility and granular insights into each one of your accounts by services, regions, resource tags and much more. +See your last month’s expense, current month’s expense and also the expense summary over this quarter. +Customize and explore deeper insights in your cloud billing with an advanced set of filters. +Time series insights that not just give you smart visualizations for the cloud costs but also tell you the cost spikes and leaks at hourly-level granularity. +Now collate all your cloud services, accounts, regions on a single custom dashboard. Deep actionable insights into your cloud usage and costs. Correlations among your accounts, subscriptions, services, regions, resource tags and much more. Complete visibility into your resource and user activities including the event history of your accounts, API calls made, and actions taken across your cloud. Keep track of your key logs and metrics like CPU utilization, memory, etc. This enables you to comprehend and respond to system-wide changes in the performance. 360° visibility into your entire cloud infra and billing trends with hourly-level granularity. Control your cost leaks and drive cost efficiency. +See your last month’s expense, current month’s expense and also the expense summary over this quarter. +Customize and explore deeper insights in your cloud billing with an advanced set of filters. +Time series insights that not just give you smart visualizations for the cloud costs but also tell you the cost spikes and leaks at hourly-level granularity. +Now collate all your cloud services, accounts, regions and every other detail you wish to analyze on a single custom dashboard. Avoid under and overutilization of your resources with our actionable insights and relevant recommendations on how to better optimize your resource utilization, purchase reserved instances, and reduce the wastage. Not only you can see and configure all your resource tags right from our console but also identify and tag resources that are left untagged or have been mis-tagged. We help you define a proper naming convention for your tags to keep your entire infrastructure compliant. Deep dive into all your cloud services and bend your cloud towards much more viable costs with resource utilization at its best. Stay one step ahead with our predictive model of anomaly detection that discovers deviations from the usual trend in your cloud cost. You can now control your minimum, maximum, average and sum of cloud spend. Our integrated reporting helps you evaluate your hybrid infrastructure activities and gain a detailed understanding of the entire cloud spend, allocation, health and wastage. Get notified when your infrasrtucture’s security, performance or cost allocation deviates from the expected norms. Define your own escalation metrics for warnings and critical alerts. Cloud automation brings in business efficiency by allowing workload scheduling, lifecycle management, automated backups and much more to reduce human effort on operational activities. +See your last month’s expense, current month’s expense and also the expense summary over this quarter. +Customize and explore deeper insights in your cloud billing with an advanced set of filters. +Automate your cloud ecosystem with workload scheduling, lifecycle management, automated backups and much more. +Now collate all your cloud services, accounts, regions and every other detail you wish to analyze on a single custom dashboard. We identify inefficiencies in your infrastructure so that you can fix or remove them with a button’s click right from our console. Now your infrastructure can run on a fixed schedule without having to worry about the tasks getting done on time. Automating and managing the entire process of your regular operations on the basis of their priority and criticality is no more an arduous task. Make your entire infrastructure compliant with over 1200 health checks and useful recommendations for cloud security, performance optimization and fault tolerance. Get a comprehensive set of security checks, best practices, and recommendations on redefining the security state of your cloud resources. Make sure that the performance of your cloud services does not degrade and continues to run at standard optimum levels. To avoid misuse and do internal capacity planning, public clouds define limits for each service. Get actionable insights and warnings on your service usage and limits before they breach. 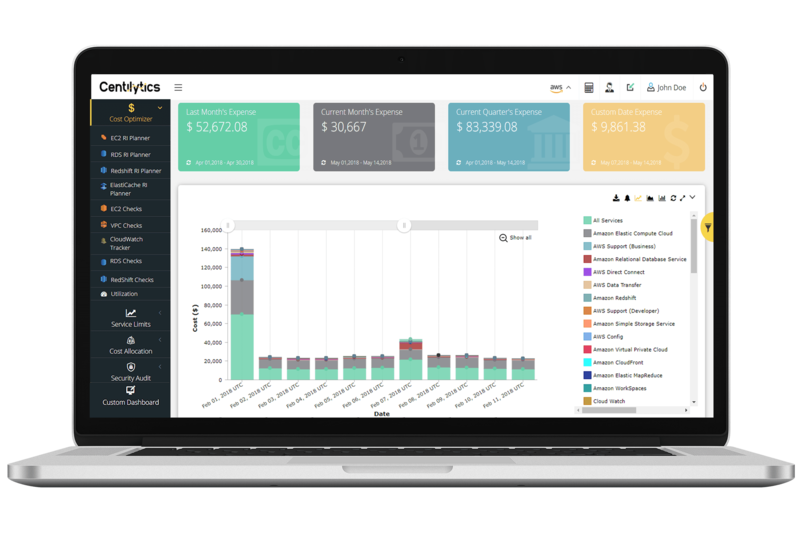 Centilytics provides valuable insights into our AWS infrastructure, we now have a granular visibility of our cloud spending. 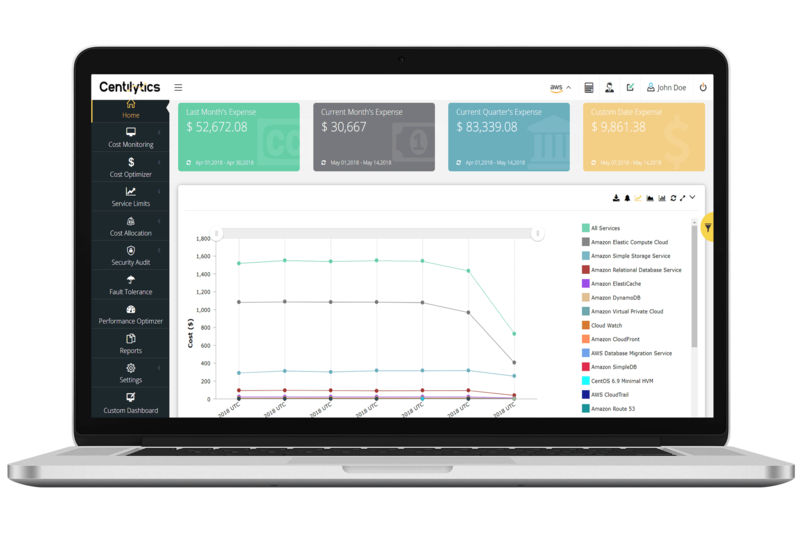 With service usage analytics, automated reports & alerts, and reserve instance planner, Centilytics is a must have platform for cloud cost management & governance. Centilytics was a cost-effective way to gain granular visibility into our infrastructure. The cloud management platform enabled us to keep track of untagged or mis-tagged resources and achieve accuracy in cost allocation. Their pro-active assessments also helped reduce a significant amount of our total cloud expenditure. Moving and routing our cloud billing through Centilytics was a seamless process and did not change anything in our organization. We have had no challenges and disparities as far as our monthly invoices were concerned. The level of support we received from Centilytics throughout the cloud adoption journey has been exceptionally good.